Superbowl! Lunar New Year Celebrations! Groundhog Day! It's a blockbuster weekend filled with fun happening all over the big apple. Score a touchdown with your family before the big game by taking them to see how NYC does Super Bowl partying right. Ring in the New Year all over again with the 15th Annual Lunar New Year Parade and don't forget to check out our blog post featuring even more Lunar New Years Celebrations. After you score major points with your family and win the big "events around town" game this weekend you can all go to Disney World (in your minds that is!) Here are this weekend's picks. Have you heard about eight-year-old Alex who used money from her lemonade stand to support pediatric cancer research? What about 11-year-old Olivia whose artwork raised $200,000 for the National Audubon Society to help birds affected by the BP Oil Spill in the Gulf of Mexico? Or the story about 12-year-old Zach whose ‘March Across America’ campaign raised $25,000 to support homeless children? These are examples of phenomenal, young philanthropists who wanted to do something to help solve problems in our communities. If you know a child like Alex, Olivia, or Zach who has a big heart and wants to do something to help communities in upper Manhattan, take a look at our roundup of service projects that are easy to do. And we're sure the help will be greatly appreciated by the local organizations. February is just around the corner. And, you know what that means? In just a few short weeks, kids will get to savor mid-winter recess, the next vacation week of the winter season. Between February 17 and 21st, schools will be closed and kids will be looking for things to do. Starting Saturday, February 15, the Intrepid museum will host its own kids week. It’s a week of themed activities, ranging from science and Star Wars to Broadway shows and sporting activities. Activities will be hosted everyday through Sunday, February 23. This Friday marks the first day of the new year on the Chinese lunar calendar, known as Lunar New Year, when Asian communities will joyously ring in the Year of the Horse with lively cultural celebrations and traditions all month long. While Lunar New Year is most commonly associated with the Chinese New Year, also celebrated around this time are the Korean, Mongolian, Tibetan, Japanese and Vietnamese New Years’ as well. In school, our kids learn about the culture of the American Indians through history books. I still remember those brief chapters in my texts about the Algonquin and Iroquois tribes. 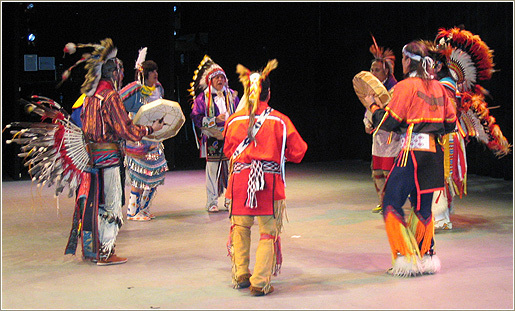 One thing that was always noted was that the Native Americans’ had a rich tradition of dance and community gatherings. However, without actually seeing the dances as a child, I always felt detached from truly understanding their traditions. Football fans rejoice; Super Bowl Sunday is almost here! By here, I mean right here in our area. And you certainly don’t need a ticket to the big game to get your football on in New York City this week. We’ve rounded up the best kid-friendly events, shows, and activities (even some free ones) to get your family in the zone for Super Bowl XLVIII. Game on! 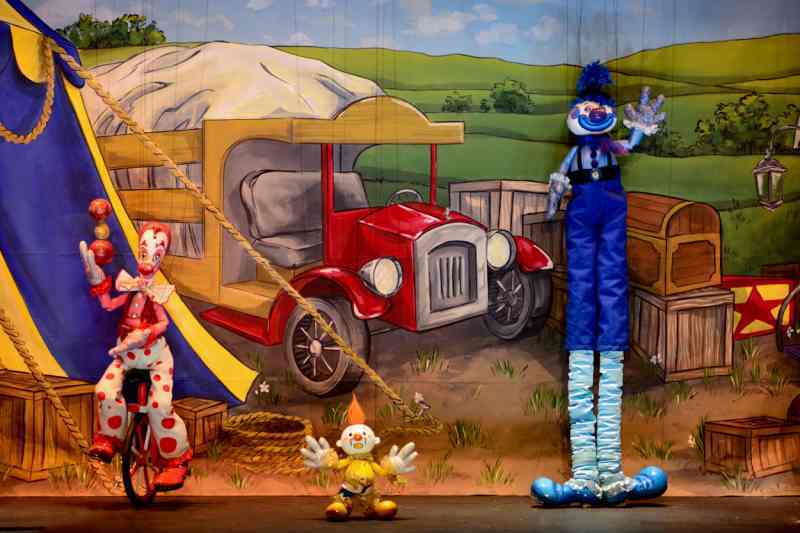 The Swedish Cottage Marionette Theater presents “Bessie’s Big Shot,” a circus-themed marionette puppet show featuring characters of all shapes and sizes and a cow who just can’t seem to find her niche. Get yourself in a party mood. There are a bunch of events starting off the Chinese New Year celebrations this weekend all over NYC. The Brooklyn Botanic Garden and Central Park are celebrating winter and also in Brooklyn there is a festival celebrating creation and imagination. Don't forget to hit up Little Swappies swap event on Sunday and celebrate saving money and doing good for others in need. So no matter where you go and what you do, have a party this weekend. Sure beats thinking about the cold! Here are this weekend's picks. For most New York football fans it’s bittersweet that Super Bowl XLVIII is in our backyard this year with no team on either side of the ball. So to make sure we don’t suffer from the Super Bowl blues, New York City is throwing the biggest party of the year…even for the kids! The Children’s Museum of Manhattan is getting in on the action by joining forces with the National Football League and presenting “You Make the Call: Learn to be an NFL Official,” an exhibit giving kids and their families a glimpse into what it’s like to be an NFL Official and train like an NFL Pro. And if you followed any of this year’s NFL season you’ll agree that maybe some of the officials need to visit this exhibit for a refresher course. There is nothing like walking into a bookstore and smelling new and old books. You just don't get that from Amazon. And yes, Barnes & Noble still exists (at least for the time being) but how about supporting some of the wonderful independent book stores that are still left. Here's a roundup of excellent bookshops in Manhattan where you and your family can have fun browsing, meet authors, and discover some new favorite tales for bedtime. New York City has no shortage of amazing museums, but finding the right one for kids of all ages—especially toddlers and preschoolers—can be a challenge. (And let's face it—as great as the Children's Museum of Manhattan is, there are only so many times you can go there without going a little nutty). For parents in search of another option for keeping their kids happy and occupied while giving them a great educational experience, the New York Hall of Science (NYSCI) in Corona, Queens is a true gem. With hundreds of exhibits, demonstrations, workshops and activities that explore science, math, and technology, the Hall of Science offers something for everyone—no matter how little (or big) your little ones are. How do we thank a man who fought for the rights of so many? What do we do to honor a man that had a vision of a better world? Where do we go to acknowledge a man who was an American pastor, activist, humanitarian, and leader in the African-American Civil Rights Movement? 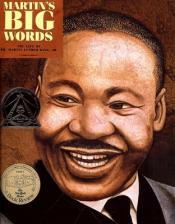 On Monday, January 20th, we’ll celebrate Dr. Martin Luther King Jr. by spending time learning about his life. After comic creator and pioneer Dwayne McDuffie passed away in 2011, the comic book community lost one of its greatest multicultural voices. 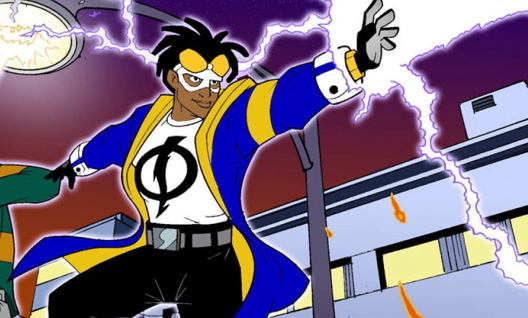 McDuffie was one of the founders of Milestone Media, he created the superhero Static Shock and wrote and produced on both the Ben 10 and Justice League Unlimited cartoons. This weekend is filled with lots of wonderful things to do involving winter fun, puppets, opera for kids and some superbowl prep thrown in for good measure. This weekend also commemorates the legacy of Dr. Martin Luther King Jr. We can all celebrate his message of friendship and love as he joined hands and hearts with people of all colors on his enduring march to freedom and equality for all. Celebrating fun events with your family and honoring a historical inspiring leader makes for a wonderful long weekend ahead. Here are this weekend's picks. When you think of Wave Hill, the word beautiful comes to mind. The public garden and cultural center has spectacular views overlooking the Hudson River. 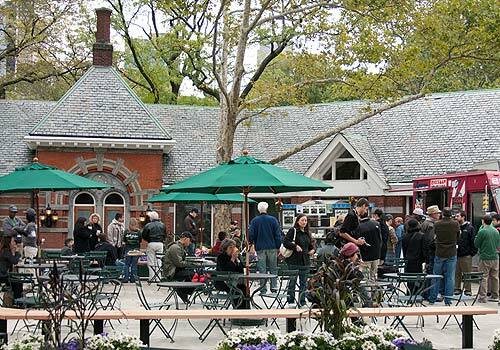 The center, set on a former 19th-century estate in the Bronx, offers education and horticultural programs, concerts and art exhibitions, and winding paths through 28 acres of woodlands. It is also filled with formal and natural gardens, stone terraces and grassy lawns. 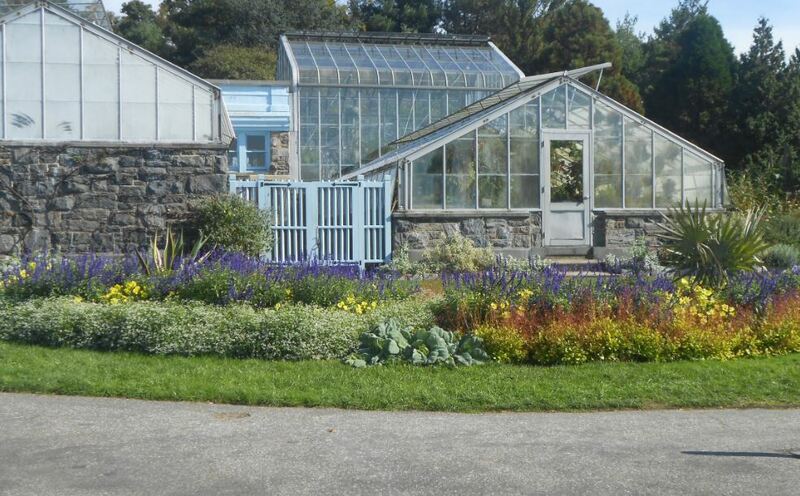 The property, which is owned by New York City, also has a large conservatory, a shop, a cafe, an art gallery, and an environmental education center. The first major animated feature of 2014 hits theaters this Friday – and it’s not from Pixar, Disney or Dreamworks. 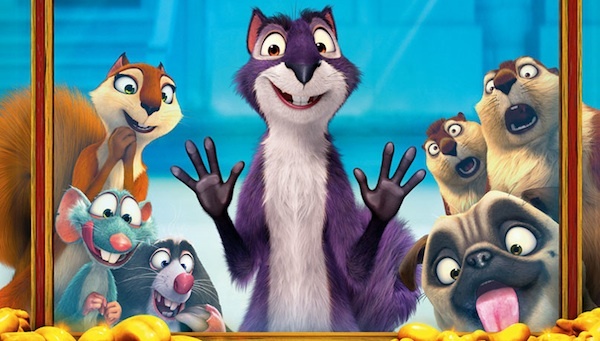 The Nut Job is an independent movie from Gulfstream Pictures and Toonbox Entertainment. The story is about a squirrel, named Surly, who gets banished from the park and is forced to live in the city. When he realizes that city life is too difficult, he comes up with the genius plan to rob Maury's Nut Store. Needless to say, robbing a human-owned store with a few misfit accomplices turns out to be a little more difficult than he imagined. 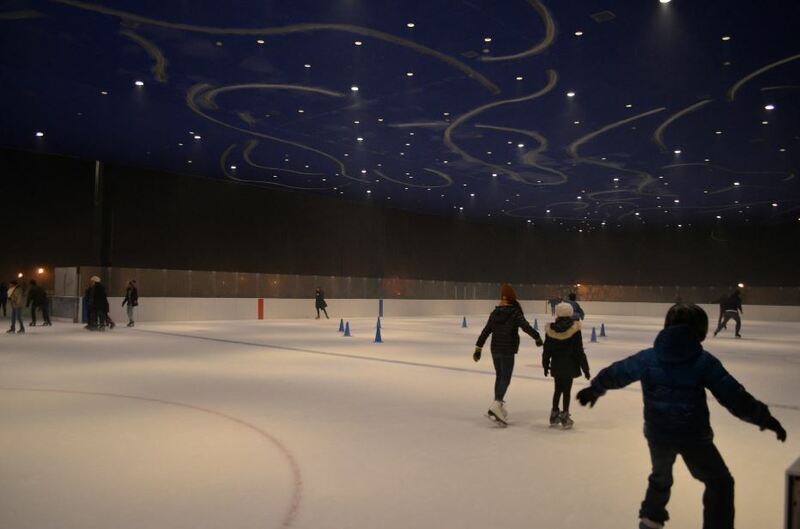 After years of fundraising and construction, the LeFrak Center at Lakeside ice-skating rink has finally opened its doors. 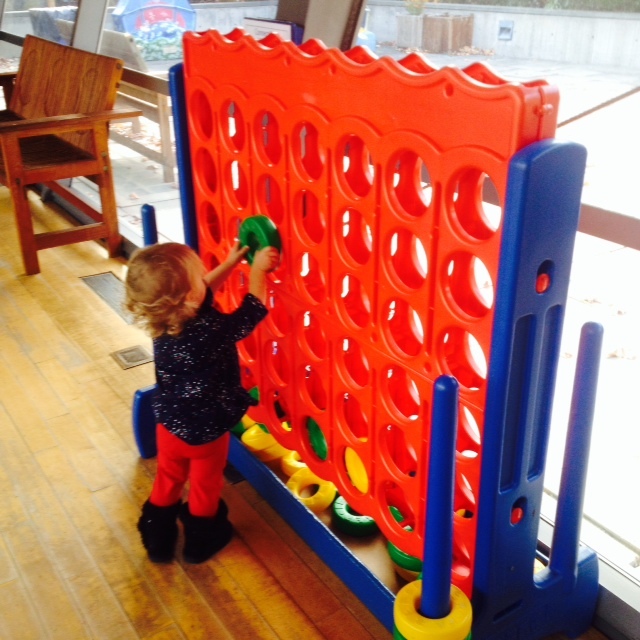 Brooklyn families can now enjoy a wonderful winter pastime at a brand new, beautiful facility. The center is conveniently located on the southeast corner of the park and is easily accessible by local transit. There is ample signage in Prospect Park along the eastern path, which easily guides visitors to the Center. Got a budding thespian or musician? After school and weekend programs in drama and music can be a great way to encourage your kids to explore their interests, meet other kids, and learn what it takes to put on a show or perfect a piece of music in an environment that’s supportive and fun. We’ve rounded up some great programs for kids, with an emphasis on pre-teens and teens. Because the show must go on—so why not have your kids go with it? Are your kids ready for some football? Super Bowl XLVIII is just around the corner. And for the first time since December 30, 1962, it will be hosted in the NY metro area at the MetLife Stadium. Sure, neither the Giants nor the Jets will be in this year’s Bowl, but NYC metro can still enjoy the fruits of being a Super Bowl town. The New Year is bringing great things to the Upper West Side! From a new urgent care location to a new clothing store, there is something for every family to check out. Here are a few of our favorite recent discoveries for your family to enjoy this new year. Can you still feel your hands? After this week's unbelievable cold it makes you want to move to Australia. Just like Alexander! The tale of his terrible, horrible, no good, very bad day is playing this weekend in Brooklyn and laughing along will warm you up. The Jewish Museum has an archaeological dig this weekend which is also good for escaping the cold weather. You can bury yourself in the sand! There are tons of other events to help shake off the cold like dancing at 2014's first Hip Tot Music Fest of the season and getting icky and sticky at the Brooklyn's Children's Museum. Here are this weekend's picks. If you’ve been waiting for the right time to introduce your children to the wonders of the Broadway stage, then 2014 is the time. 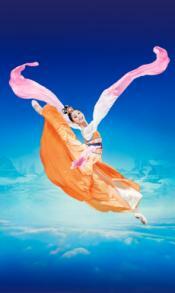 Broadway Week opens up Winter 2014 with 26 shows all offering two-for-one ticket deals. Although it’s called Broadway Week, the discounted shows runs for two weeks, beginning January 21 and ending on February 6. 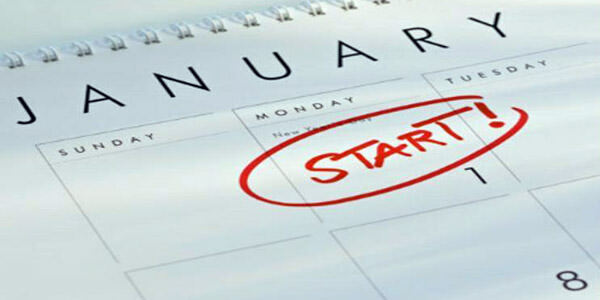 The New Year brings with it a chance to start fresh and you’re probably drowning in others’ suggestions – big and small – for making 2014 better than ever. While we love resolutions as much as anybody, the idea of outlining ways to make our work, ourselves, and our families somehow “better” in the next 12 months can be overwhelming. To help you avoid the “resolution trap”, which ensnares most of us and our good intentions by the end of January, we’ve asked some of our experts to weigh in on simple, do-able changes you can make to improve your parenting, your family’s diet, and their overall health. Still looking for an engaging after-school program that gets your kids thinking creatively outside of the classroom? On February 1, Park Slope will welcome the Brooklyn Game Lab into its neighborhood. Now, I know what you’re thinking. Your children play enough Xbox One, Playstation 4 and Wii U at home – then of course there’s the iPad and Nintendo 3DS vying for time. However, the Brooklyn Game Lab isn’t about digital games. 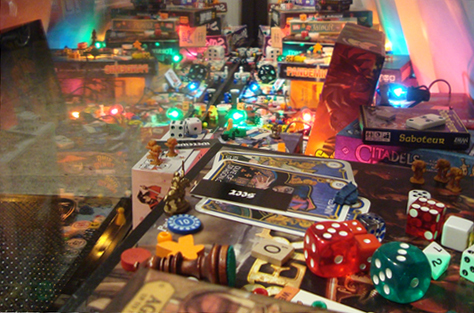 The Game Lab focuses on tabletop games like Saboteur, Settlers of Catan and Citadels. These are communal games that get kids (and adults) thinking strategically. For instance, by playing Settlers of Catan your children will start to hone their negotiation skills and learn about resource management. With the holiday season over, everyone’s pockets are feeling a little lighter. And with the harsh winter weather upon us, it will be quite a while before budget-friendly activities like the playground or beach are an option when you really want to go out with the kids. But you don’t have to give into the winter blues just because it seems like all of the fun stuff is too expensive–there are plenty of ways to break your family out of the house without breaking the bank. Here’s a roundup of fun, free events and activities taking place this winter in NYC. What good is a trip to a museum where all of the really cool stuff is behind ropes and glass? At the Staten Island Children’s Museum, kids get the one-of-a-kind opportunity to touch, feel, learn and explore to their heart’s content. Almost every exhibit in the museum is a completely hands-on discovery experience. I stopped by with my own family one afternoon recently to find out all about this popular kid spot in Staten Island. Happy 2014! The holiday season may have come to a close, but there are still some fun train sites to see at the New York Botanical Garden. For starters, the Garden’s Holiday Train Show will remain open through January 12. When it comes to nature, inquisitive children will often ask questions that we don’t have the answer to. 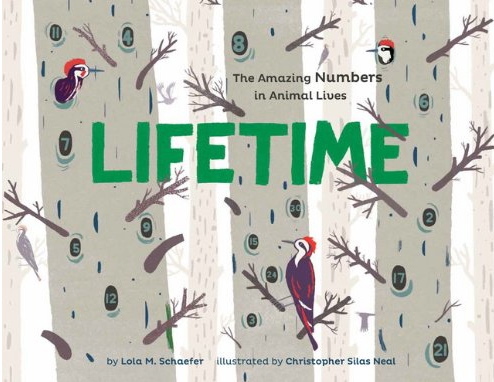 For instance, how many does a giraffe have over the course of its lifetime? And how many roosting holes will a woodpecker drill during its life? 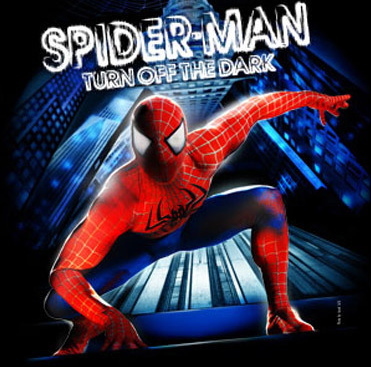 The lights are about to close on Spider-Man: Turn Off the Dark. 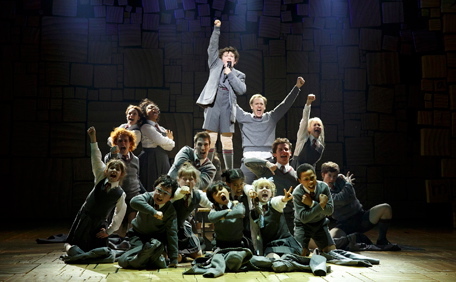 The Broadway show, which first previewed in November 2010, will close its doors on January 4. Happy New Year! The new year means new beginnings and some endings as well. Be sure to check out and take part in some shows, places and events that are ending this weekend like Mother Africa, The Nutcracker and the McCarren Rink. We wish everyone happy new beginnings filled with family fun this year! Here are this weekend's picks. Kids love telescopes. 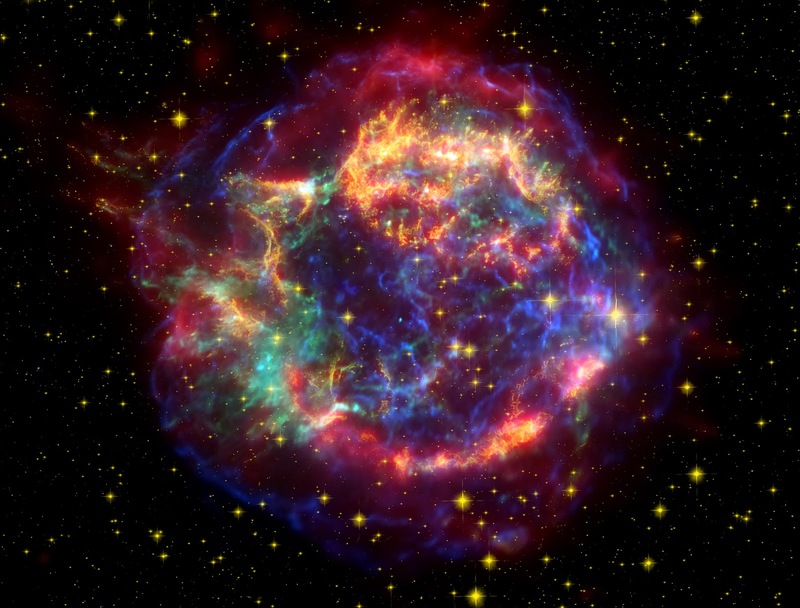 And really, how much cooler does it get than being able to look at stars immeasurably far away with something you can put together yourself? But one of the drawbacks of living in New York is the lack of sky—eclipses, shooting stars and giant pumpkin moons are often lost to us because we simply have too many buildings—it’s hard to even see the night sky in many neighborhoods. Seeing gifts in children’s shoes, hiding figurines of baby Jesus in bread (el Rosca de Reyes or King’s Ring) and leaving sweet treats under the tree for the king’s animals are a few very important traditions of El Dia de los Reyes. The Day of the Kings or Three Kings Day is celebrated on January 6th, the twelfth day after Christmas.